In Fiji, zip lining has become a very popular sport! Enjoy amazing wild life and vegetation, including flying foxes, endemic birds, parrots, colorful butterflies, unique frogs, breathtaking flowers and other animals and trees you can only dream about. In addition – check out lovely waterfalls and white water rafting trips from tame to outrageous! We work with local companies in Fiji and plan your adventures from start to finish! 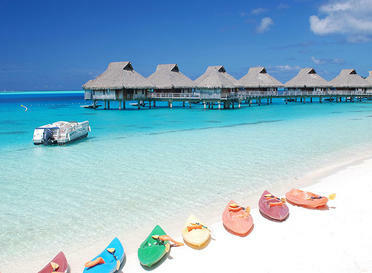 Kayaking and paddleboarding in French Polynesia is a rush! Or perhaps a 4×4 adventure or jet ski trip around one of the islands is more for you? On Kauai, we work with Princeville Ranch Adventures on the north shore who operates on a 2500 acre private working cattle ranch. They offer several different zip line tours, as well as hiking and kayaking on private land. This is a small sampling of some of the activities you can enjoy on your Honeymoon. We can prebook them so you can be sure to have a spot – depending upon the activity! 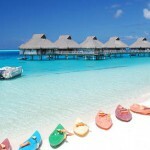 Check us out at www.remarkablehoneymoons.com!